Skin rejuvenation treatments resurface your skin to improve texture, clarity and overall appearance. Dermaplaning ………………. $60 This non-invasive skin resurfacing procedure uses a special blade to gently scrape away the top layer of dead epidermal cells and remove villous facial hair (peach fuzz) that traps excess dirt and oil. The treatment leaves the skin feeling immediately smooth, supple and vibrant. Microneedling, also known as Collagen Induction Therapy, is a minimally invasive procedure that stimulates the body’s natural collagen production. New collagen production repairs wrinkles, acne scars, reverses sun damage, improves skin tone and texture, and provides younger looking skin. 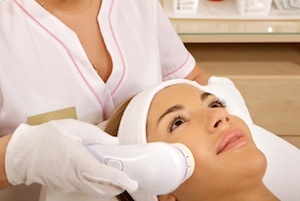 *Add oxygen facial to micropen treatment for only $60.